Oh man, I haven't seen PuTTY in ten years. This looks well thought out and promising. I wonder if there is room under the frunk to install the condenser, as I think I need that wheel well for another oil cooler (3.6). I wonder how much battery drain is seen above 2000rpm, as my car has a small AGM sucker. But these are are all just my problems. Good timing, as it's just about to flip from too cold to too hot on the east coast of the US! Ha, yes, good old PuTTY, like a favorite wrench for computer guys! Eventually it'll all be configurable by smart phone over bluetooth. Like our CDI+ boxes, the A/C ECU firmware can be updated to add features down the line. The ECU settings are there so you can tune the system to your particular setup. In your case you have a 3.6, (presumably with the 115A alternator? ), but a lower capacity battery. So you'd set the low battery threshold fairly high and the timeout short, but drive the compressor a bit harder. The compressor would cut out sooner at idle revs, but when the compressor is on it would drive the evaporator cold quicker. It's all a juggling act but not that different to how modern stop/start cars or cars with 'eco' A/C mode work their variable displacement compressors. jonny, will the condenser fit in a wheel well with LWB light boxes? i imagine it would, but it's hard to tell from the picture on your site. ^. Twin battery cars can present a problem. Some folks are going to try putting the condenser in the rear fender. Will need a mount and guard. We are working on a different condenser configuration for front mount. PLease don't, it's a joke! If it doesn't perform as expected how do you get your money back since it comes from England? Are you saying the English don't give refunds? We'll have some US outlets eventually, we are talking to a few at the moment. We are also open for deposits. Last edited by vulcan300; 04-02-2017 at 11:57 AM..
Will you have anyone selling in Canada? Really cool product, I hope this is very successful for you. Do you have any images of the switch not illuminated? Would it be possible to use something closer resembling the porsche pull switches? Does your ECU protect for an eternal temp control via a potentiometer? 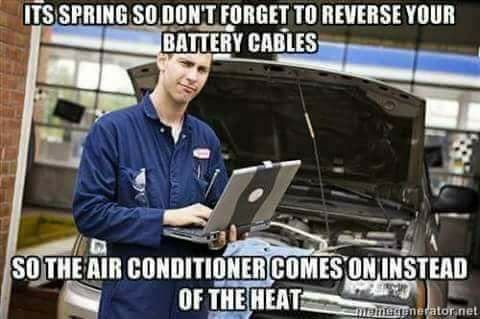 Now that we have 63 degree days in January, ugh, Global Warming, I am starting to think of all the old A.C. parts which i happily removed. This new system seems so much better and lighter, and the little bit of weight is in the front. Was thinking there must be a car that has a smaller a.c. system than vintage, OEM Porsche A.C.
....and who is our guinea pig for this new fangled system? Hopefully they live in Louisiana, Texas or Arizona. The price is high but so is the mercury. Last edited by Kraftwerk; 04-04-2017 at 07:11 PM..
We've spent two years looking at how modern small cars do A/C effectively. When the Prius and Tesla cars came out with decent A/C, I was intrigued to know how they got decent cooling from an electric compressor with half the BTU of an engine driven one. I have since been asked the same question of our system at least a dozen times! 1) The BTU of an engine driven compressor is quoted at MAX RPM. Most of the time it is running at half that quoted BTU or less. They are also 'cycled' with a clutch, so they are not doing work 100% of the time. On, Off, On, Off is a prehistoric control strategy. 2). Electric compressors typically run all the time. They adjust their speed to suit the cooling demand. Once you have cooled the car down, you don't need as much power so you can back off the speed. Better use of energy. If you have an 'inverter' domestic A/C unit, you will be familiar with the variable speed. We are mid price. I have quotes here from other suppliers which are more than our system and some that are less. We are also supplying a new blower fan so you are getting an upgrade for the whole ventilation system too. Please also consider the cost and ease of installation. I expect our system to be installed with just hand tools comfortably in a weekend. Even in a car that has never had A/C, you will not have to cut a single hole in the bodyshell. We'll have at least one car in Texas and one in LA. When the Prius and Tesla cars came out with decent A/C, I was intrigued to know how they got decent cooling from an electric compressor with half the BTU of an engine driven one. How many BTUs is this unit good for? We are also supplying a new blower fan so you are getting an upgrade for the whole ventilation system too. So cooling is recirculate only mode. Hmmmm that's going to be comfy. Just for the sake of idle jibberjabber, in a very hot climate, 99.9% of the time the a/c in any vehicle gets operated in recirculated mode in order to cope with the superheated, and often grossly humid, outside air. One of the reasons I get such good a/c performance in my 1987 Turbo is because I have taken steps to block all outside air from entering the cabin (as much as possible, at least) - such as by making a blocking plate for the fresh air intake duct, thoroughly insulating all pass through holes into the tub, etc. ^^^What about your pie hole? Last edited by matt930s; 04-04-2017 at 06:08 PM..
^^^What about you pie hole? I put a toilet plunger over that - quite appropriate, no?!?! Interesting, so the design of old Porsche AC units is like trying to cool your house in summer but leaving the windows open. Does this electric system use any of the original Porsche system parts? or is it completely new and separate? Last edited by Eli W; 04-04-2017 at 06:26 PM.. It's just the opposite - every aircooled 911 a/c system is 100% recirculation only (no option for passing outside air through the evaporator on its way into the cabin). Unless you are talking about how a lot of outside air leaks into the cabin at speed, then yes, that is right. PS - not sure if "every" is correct, as I don't know if the 993 and 964 have different cabin blower systems than models 1989 and older. Last edited by Rawknees'Turbo; 04-04-2017 at 06:14 PM..
Is there a way to get fresh, non-a.c.-air, throughout the car (w/o opening the windows) with this new system? ie. Blower only? It sounds too good to be true. I am considering it, not only since my car is black but also it will extend my driving capability and the g/f will be happy.